PH0004983/396 - FIRST DEVON & CORNWALL LTD, THE RIDE, CHELSON MEADOW, PLYMOUTH, PL9 7JT Variation Accepted: Operating between Plymouth City Centre and Woolwell, School Drive given service number 15 effective from 17-Feb-2014. To amend Route and Timetable. 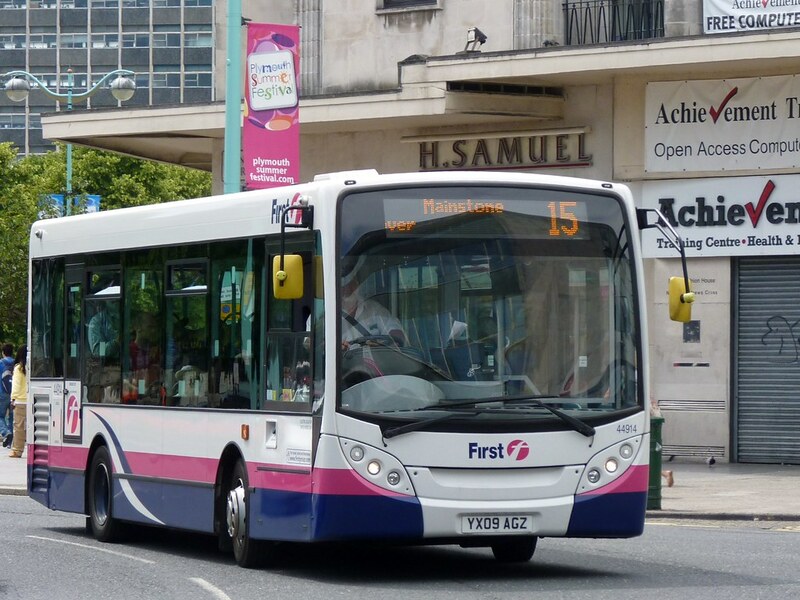 Previously the route has been registered as operating between Plymouth City Centre and Roborough, so it looks like the service will be terminating at Woolwell instead in future. My guess, and it is just a guess, is that this is to shorten the route slightly giving them more running time to improve connections with the Tavistock services. There have been quite a few complaints on Facebook about this connection not working very well so this might just be a fix for that problem. No sign of any other changes yet to other services although there is often a time lag on VOSA. So driver told me, all 15's to serve Woolwell. They will get a service every 20 mins again as per old 7, but this is a use it or lose it deal, as Woolwell residents have continually moaned but never use the service when provided. Note no interest in Woolwell from Citybus either. Please use this one guys, every 20 mins Mon - Sat. This will still provide connections with 83 to from Derriford/Mutley as well.